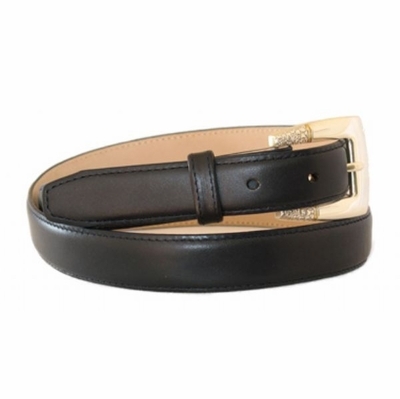 Silver and gold plated two tone finish Buckle shown on a Fine Italian Smooth Calfskin strap. Stitched Edge, lined with soft Genuine Leather 1" wide. Sizes Available from 32" thru 50". Size measured from where the leather ends at the buckle end to the middle hole at the tip end.